This is the flagship course of the programme, accounting for about 25 percent of the total sessions. 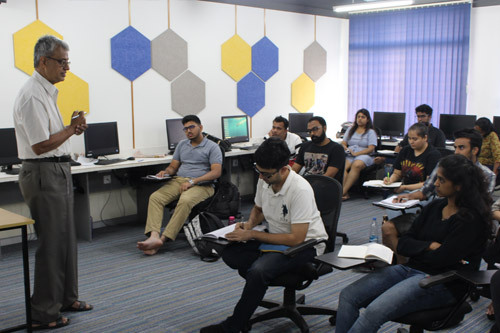 Trainers from Bloomberg instruct students on The Bloomberg Way of reporting news as well as the high ethical standards expected of Bloomberg journalists. 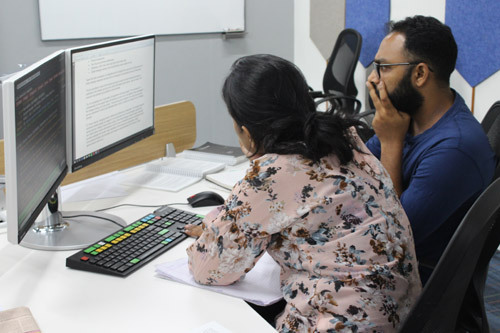 During the course, which runs through the academic year, students get hands-on experience with the highly acclaimed Bloomberg Terminal, mining it to access real-time financial data from around the world. 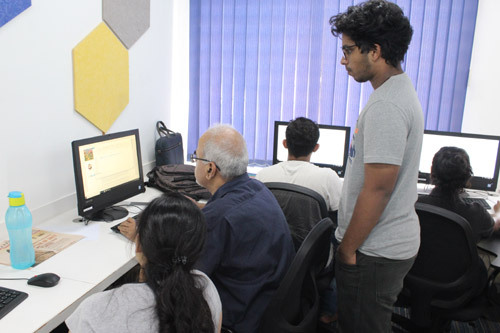 Through intensive training sessions, students learn to write with authority, use the terminal to add value to the stories, and get acquainted with various data visualisation techniques. They are also taught to find the “why” and “so what” angles to a news story. 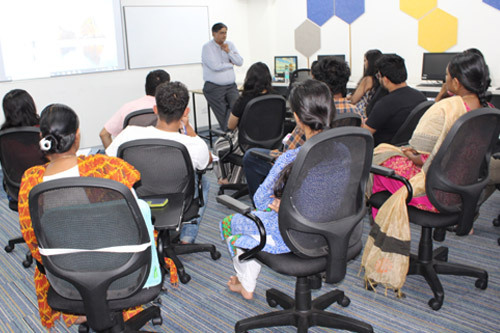 During these sessions, students learn to get in-depth knowledge across asset classes, such as shares, bonds, foreign exchange and commodities. 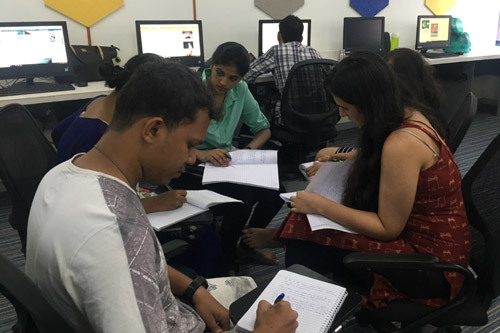 Trainers from Bloomberg’s digital team explain the nuances of writing for the web, telling students why the headline and first paragraph matter the most for mobile journalism. They also explain the importance of clear content strategies and how to drive audience engagement through them. Students also get to understand how to use social media platforms such as Twitter, Facebook and WhatsApp. As the course progresses, students learn how to turn a story idea into a multimedia presentation, using interactive graphics and data. They are also trained on how to put together professional scripts for video as well as the best practices for the medium. With the blurring of the lines that distinguish various journalism streams, it’s important for modern business journalists to learn to be able to tell a story across platforms and mediums. 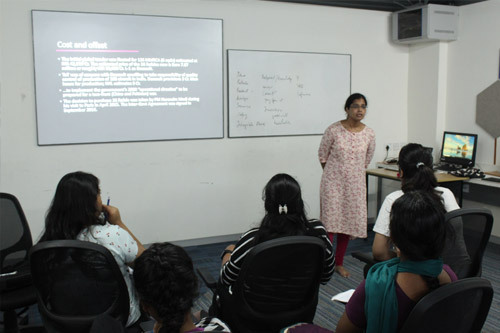 The integrated journalism lessons and workshops prepare students for just such an objective. 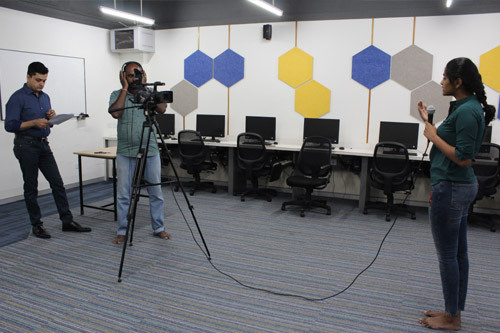 Through some state-of-the-art tools and applications, students learn the fundamentals of online and broadcast news, and get acquainted with modern storytelling techniques that can enhance the reader experience. This course continues into the second and third terms. 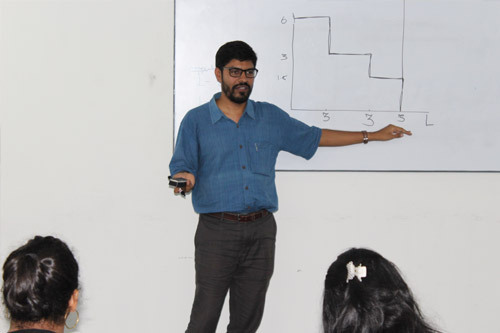 This course aims to train students in the use of basic statistical techniques, enabling them to tell a story more effectively by harnessing relevant data sets. Students will learn to make quantitative assessment of available information from different sources, and to present them in easily digestible forms. The focus will be on making effective data presentations: tables, graphs and other forms of visualisations. The course will combine lectures on various topics with practical exercises using actual data. 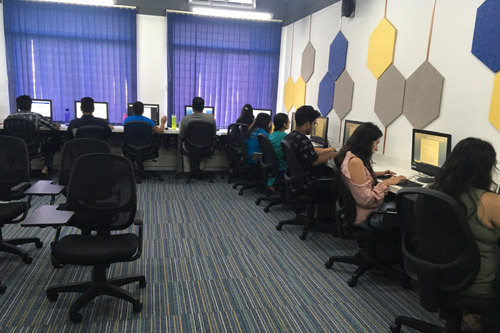 In the lab sessions, students will be given assignments that require them to apply these concepts and techniques, and write narratives based on statistical analysis. This course deals with current issues impacting the world of business. 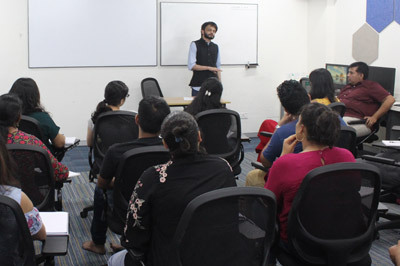 Students attend a series of lectures offered by senior journalists, renowned scholars and entrepreneurs on various issues affecting business and economy, including regulations, government policies, trade agreements, politics, climate change and disruptive technologies. This course will expose students to different points of view and equip them with the knowledge to grasp the workings of business and economy better. The course will introduce the class to the fundamentals of economic analysis. It will begin with a brief consideration of microeconomic approaches to production and consumption. It will then examine the main national income accounting identities and explain how to understand important concepts. The idea of a short-run “equilibrium” of the economy, how it is achieved, and how imbalances are corrected according to different systems of analysis, will be considered. Students will be taught how to interpret macroeconomic trends and their determinants, fiscal and monetary policies, inflation and balance of payment and exchange rate movements. When young journalists join news organisations they are usually assigned “beats”—specific subjects or areas that they have to cover. Beats in business journalism are highly specialised, with each having its own set of guidelines, complexities and knowledge sources. This has also often led to financial journalists taking a narrow view of their beats, hindering a broader understanding of issues. For instance, a reporter covering the economy may not be able to fully grasp the nuances of developments in the pharmaceuticals beat. 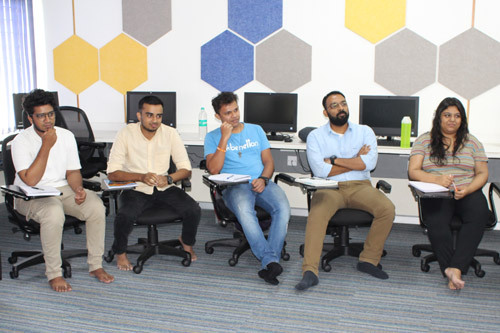 The “Big Beats in Business” module gives ACJ-Bloomberg students an introduction to the major beats in financial and business journalism, including Startups, Technology, Aviation, Banking, Consumer, Energy and Pharmaceuticals. 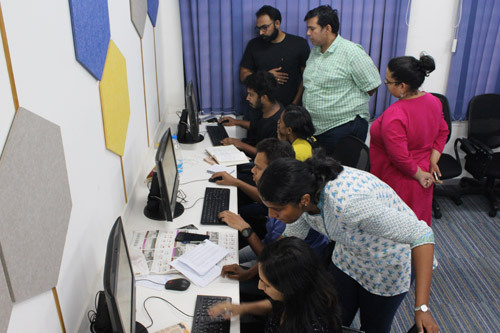 Top journalists from each beat train the students how to cover their area of specialisation, teaching them the basics of source-building and data-mining. They also highlight the trends that they must track and resources they can tap to write deep, insightful articles. This helps the students hit the ground running when they join a news organisation. A large part of business journalism relates to companies and their performance. This course will give students a keen understanding of how they are set up, how they are classified, and the nature of the regulations that affect them. Students will be exposed to such concepts as the nature of a limited liability company and its historical evolution into the dominant form of business organisation today. 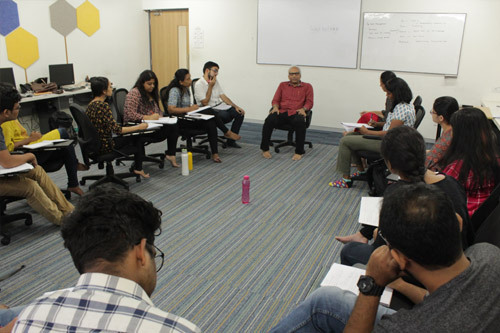 Besides explaining governance issues, the course will deal with the major components of the Indian corporate sector, ownership structures and the sources of funds. 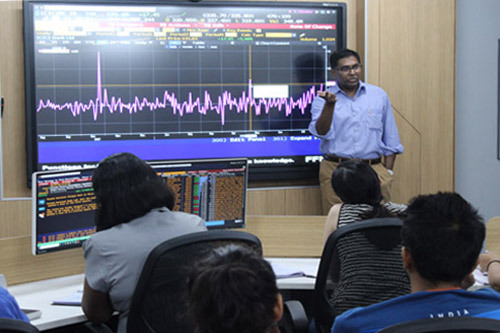 This course will provide an in-depth look at the Indian stock markets, helping students understand the evolution of finance. Students will be familiarised with financial instruments such as stocks, bonds, currencies and commodities, the risk-reward equation that is intrinsic to making assessments of their benchmarks, and the metrics that can value them. Students will also be acquainted with the regulatory superstructure relating to various financial instruments, and the crises that have arisen when these are violated – in letter and in spirit. Students will also get an understanding of how changing regulations have affected the performance of companies. neoliberalism; and global financial markets, contagion and crises. arisen when these are violated – in letter and in spirit. Students will also get an understanding of how changing regulations have affected the performance of companies. We live in an age of disruptive innovation. We are fascinated by the lives of innovators—Steve Jobs, Bill Gates, Elon Musk, Mark Zuckerberg, Travis Kalanick—and we want to know how they achieved their success. At the same time, we are also concerned about the impact their innovations have on our lives—on our jobs, on our friendships, on our privacy and on our freedom. We look to analysts, experts and journalists to unravel that world for us. We explore the internet for stories and reports on technology and innovation. We search Youtube and Vimeo for talks and presentations on the subject. We are grateful to those who do it well. We become their fans: Mary Meeker, Walt Mossberg, Sarah Tracy have, in fact, become household names. Media platforms like Techcrunch, Wired and Mashable have become a part of our daily diet. As the pace of innovation increases, the demand for those who understand and explain the dynamics and impact of innovation is also going up. As a result, media companies constantly look out for journalists who can do that with simplicity, clarity and authority. This course will equip students with frameworks to understand the economics of innovation. It will look at illustrative case studies and stories in the news in order to gain a greater appreciation of how innovation happens in the real world today. It will explore tools and techniques that some of the best analysts, experts and journalists use to tell those exciting stories. Besides lectures, the coursework will involve discussions, writing assignments, and a real-life innovation project. The best way to learn about innovation is by trying your hand at innovating. This is the age of technological disruption. 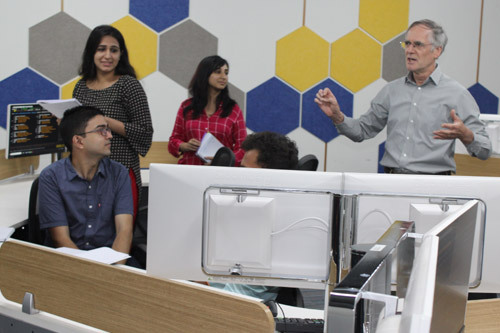 The course will help students understand the effect that technological advancements have on the Indian economy. The topics of discussion will include: integration of technology; the emerging trends in intellectual property rights; the start-up technology ecosystem; and the important provisions of intellectual property law, both international and Indian, among other things. Besides these, the course will also deal with data security and confidentiality and how to report on technology crimes. All students undertake a year-end project to produce a written work of 3,000 words in the realm of business journalism. This can take the form of a dissertation, an investigative article or a feature story. By the end of the second term, faculty members will have advised students on the topics for their year-end projects and approved their proposals.